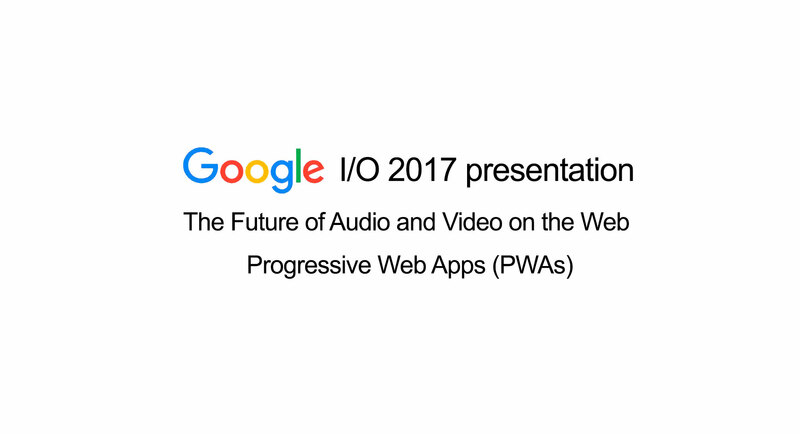 What are Progressive Web Apps (PWA) and how can this technology be leveraged by online video services to optimize the quality of experience of their viewers? In this blog post you will read about the optimization THEOplayer was able to accomplish by reducing startup time of online videos and improve the viewer experience by making use of PWA in combination with THEOplayer. Know more about our POC with Google PWA. It was presented during Google I/O conference at NAB Las Vegas 2017. A study conducted by Conviva indicates that roughly 27% of the online video viewers experience buffering, 43% have a low-quality video and about 5% of videos never start playing. Another study conducted by Akamai revealed that viewers abandon a video if it takes more than 2 seconds to startup. Viewers leaving your online video service may never come back. 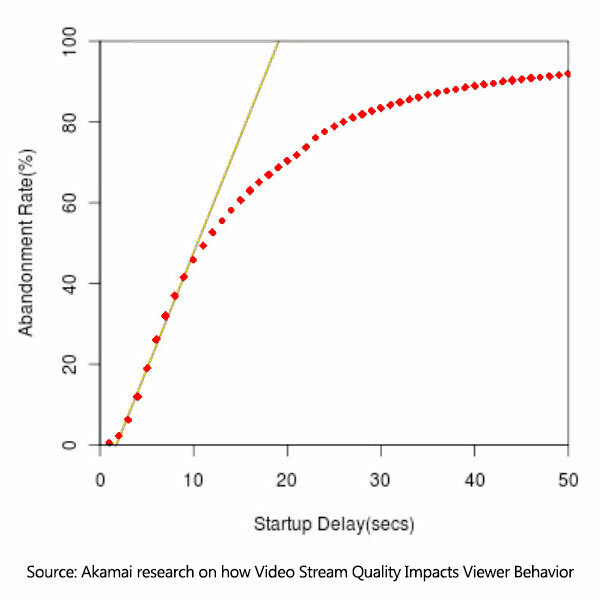 Viewers start abandoning the video if the startup delay exceeds more than 2 seconds. Beyond that point, 1 second increase in delay results in roughly 5.8% increase in abandonment rate. In the past, native mobile apps, mobile web apps or a mixture of the two were the only shortcuts to the internet on mobile devices. Native mobile apps deliver a fast and rich user experience by taking advantage of the device features, but at the expense of storage space and lack of real-time updates. Mobile web apps are websites pinned to the home screen for easy access without pre-installing, but are highly dependent on internet access, which can result in an unreliable or poor user experience when internet access is unstable. To combine the best of these two worlds, Progressive Web Apps were introduced. A Service Worker is a script which can run in the background, synchronize data and perform other actions usually linked to native applications such as pushing notifications. Web App Manifests on the other hand allow to configure information such as icons, titles, authors and other information which can enrich the user experience. Startup times of video can be reduced significantly, bringing them to fractions of seconds, giving the impression video starts immediately. Buffering can be avoided as buffers can be bigger, removing the negative impact of network instability. Video playback can start instantly at high quality. The result of these improvements is not to be ignored: it dramatically reduces abandonment and increases repeat viewership and user engagement. THEOplayer worked together with Google on using Progressive Web App technologies to improve the video experience of one of its Tier 1 customers. By leveraging PWA technologies in combination with our video technology, we managed to almost completely remove the startup time of videos on their website. Scenario 1: The first test case made use of THEOplayer including PWA optimizations. Scenario 2: The second test case made use of a regular video player. The result of the comparison is quite baffling. 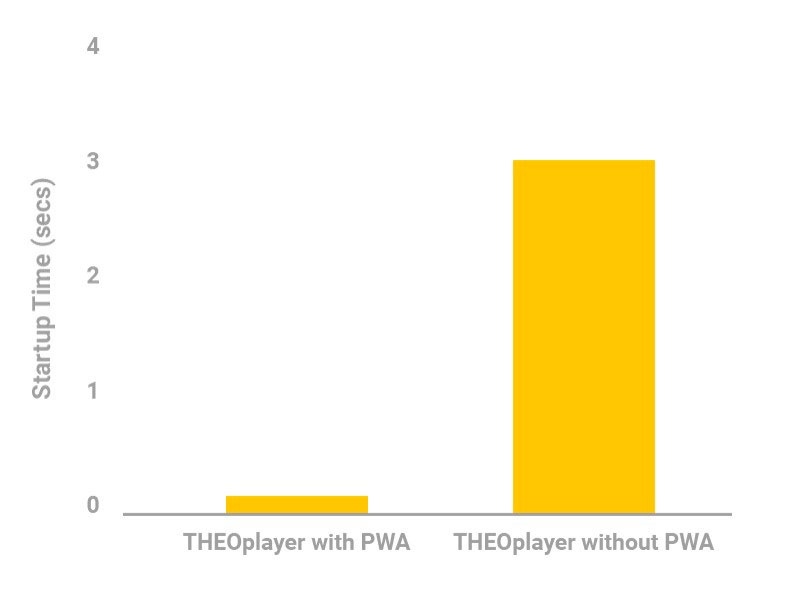 Where the player without PWA would have a startup time of about 3 seconds for the 4K video, the usage of PWA technology combined with THEOplayer reduces this time to 100 milliseconds, meaning a reduction of the startup time with a factor 30! The first results of this project were demonstrated at Google’s booth during the NAB Show and presented during a session on the Google’s I/O conference on the future of video on the web. Have a look at the video below to show a demo of the positive impact on the viewer experience as it was demonstrated during Google I/O. If you want to know more on how to improve the quality of experience of your viewers and reduce the startup time of your videos online by making use of THEOplayer and Progressive Web App technologies, don’t hesitate to contact our team.